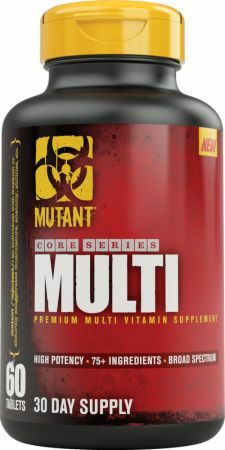 MUTANT Multi at Bodybuilding.com - Best Prices on Multi! 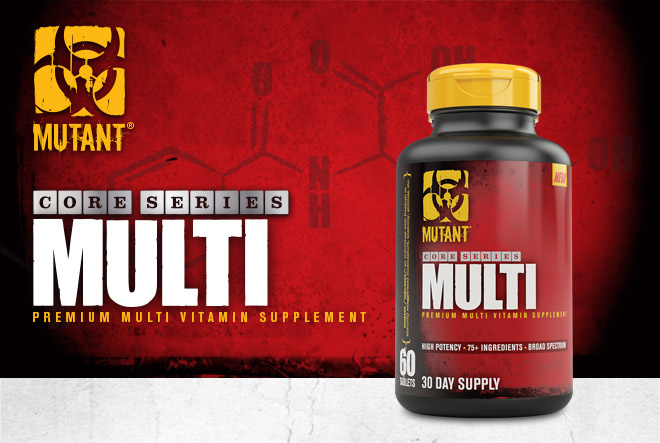 The MUTANT CORE SERIES provides you with some of the most tried and true supplements of all time. 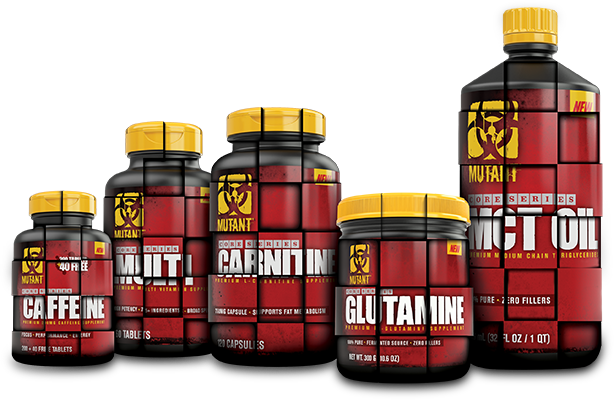 Whether you need to support recovery and growth, or MCT Oil and Carnitine to help maximize your fat loss protocol, MUTANT has you covered. * This allows you to tailor and customize your plan for what you need. No crazy formulas, or complicated blends. Just exactly what you need, when you need it. Micro-crystalline Cellulose, Soy Powder, Sorbitol, Stearic Acid, Croscarmellose, Silicon Dioxide, Magnesium Stearate, Sucrose, Sodium Carboxymethylcellulose, Dextrin, Dextrose, Soybean Oil, Sodium Citrate, Ascorbyl Palmitate, Mixed Tocopherols, Alginate, Gum Acacia, Pea Starch, Purified Water. Contains soybean. Produced in a facility that also handles ingredients from: milk, egg, glucosamine (sourced from crustacean shellfish [shrimp and crab]), tree nuts (coconut, hazelnut), wheat, peanut. Directions For Multi: As a dietary supplement take 2 tablets per day with food. Warnings: Consult a physician prior to using this product. Not for use by those with pre-existing or suspected medical conditions, those taking any medications, those pregnant or breast-feeding, or those under the age of 18. Do not use if packaging has been tampered with. KEEP OUT OF SIGHT AND REACH OF CHILDREN. STORE IN A COOL, DRY PLACE. For California Residents Only. Required Prop 65 Text: WARNING: This product contains chemicals known to the State of California to cause cancer and birth defects or other reproductive harm.